1.) WHAT IS MAGICAL WINTER LIGHTS? 2.) 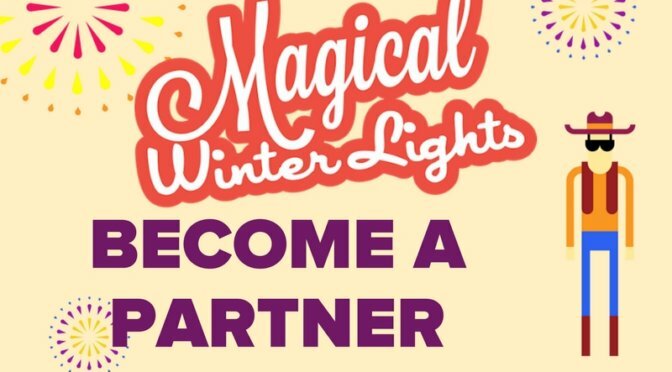 WHY SHOULD YOU PARTNER WITH MAGICAL WINTER LIGHTS? Here at Magical Winter Lights, our goal through these partnerships is to promote tourism to our great city of Houston as a whole through social media campaigns and event promotions. There are many great businesses in this city, and we are proud to be an advocate to them and use MWL’s own platform to promote them! If you’re not convinced yet, hit the “Download Now” button below to learn more and see how some of our current partners did during our holiday “12 Days of Giving” campaign.